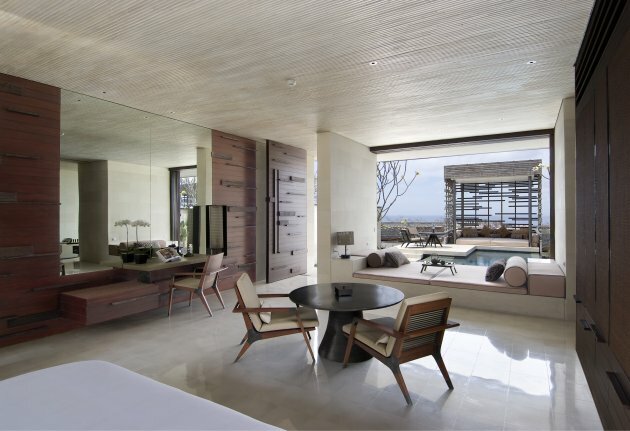 Opening in early 2009 are the Alila Villas Uluwatu in Bali, Indonesia. 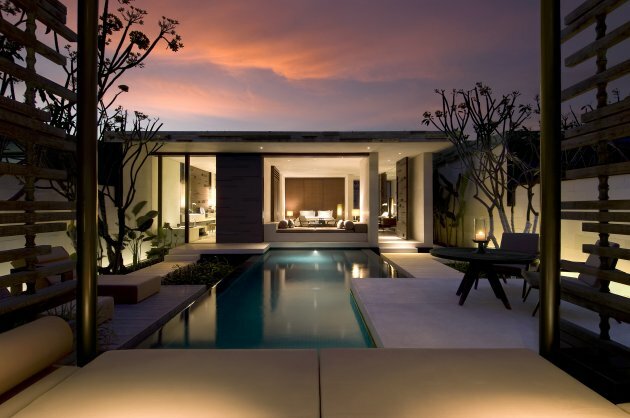 The 14.4 hectare development offers three-bedroom contemporary Balinese villas for sale, as well as a hotel for those on holiday in Bali. 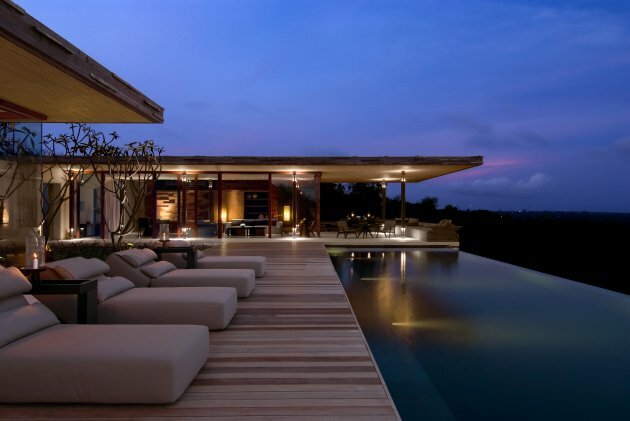 Alila Villas Uluwatu has been designed by the Singapore based WOHA. 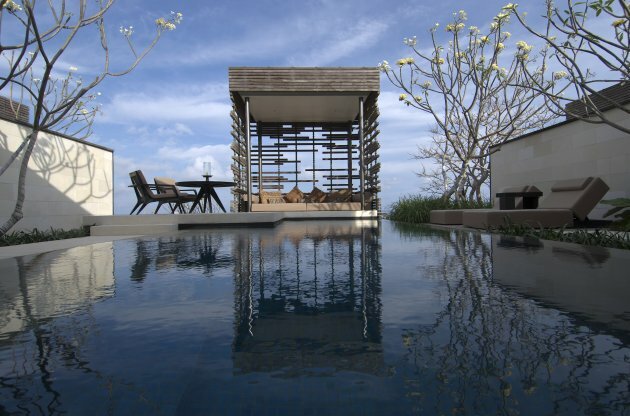 Visit the website of Alila Villas Uluwatu – here. 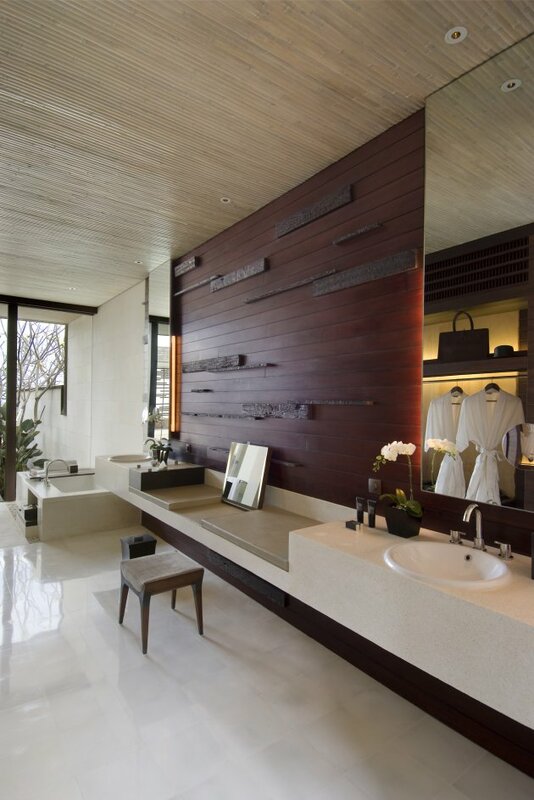 Visit the WOHA website – here. 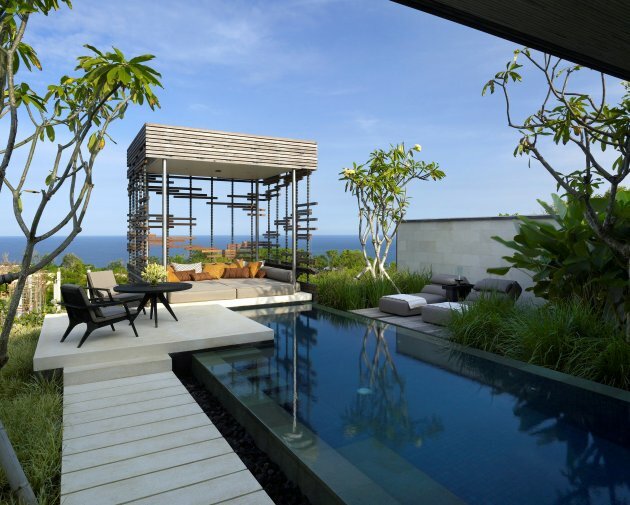 With Alila Villas Uluwatu, the architects wanted to create more than the usual stereotypical ideas of Bali, creating a design that worked with the dry Balinese Savannah vegetation and gently sloping site, not against it. 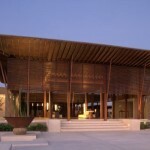 The fact that the aim was to build a resort to Green Globe certification and with Environmentally Sustainable Design (ESD) standards did not hinder their architectural vision. 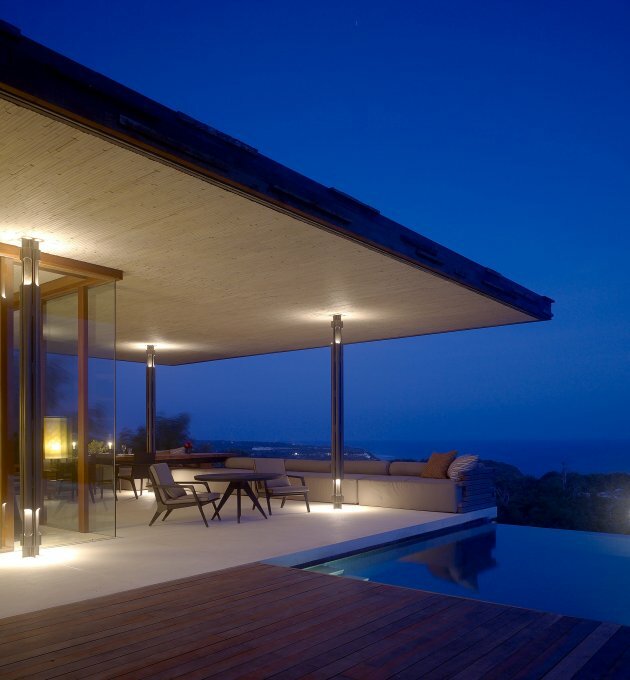 Says Hassell, “From the onset, we knew we wanted to work with ESD in mind.” However, obtaining the necessary raw materials, such as sustainable wood for construction, proved to be a challenge. Fortuitously in this instance, lady luck stepped in as the owners managed to acquire a lot of old timbre telegraph poles and wood railway sleepers that were being auctioned off within the country, and had them transported to Bali. 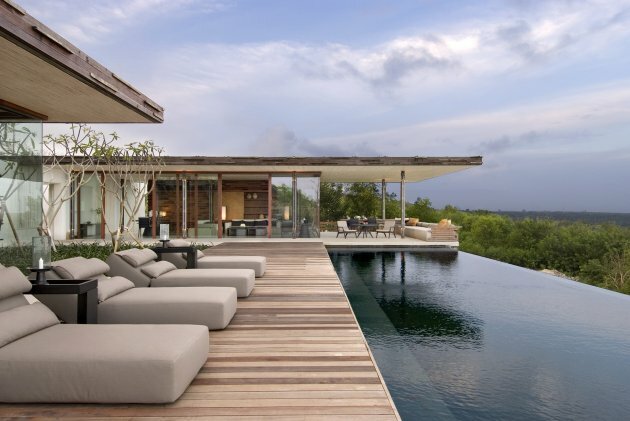 Notable design features include the flat roofs, laid with batu chandi (local volcanic rock). 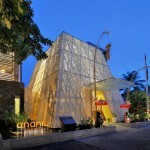 This porous Javanese rock (a product of Mt Merapi’s eruptions) serves a threefold purpose: insulation; as a means of blending in with the local landscape; and for water absorption to support plant life. 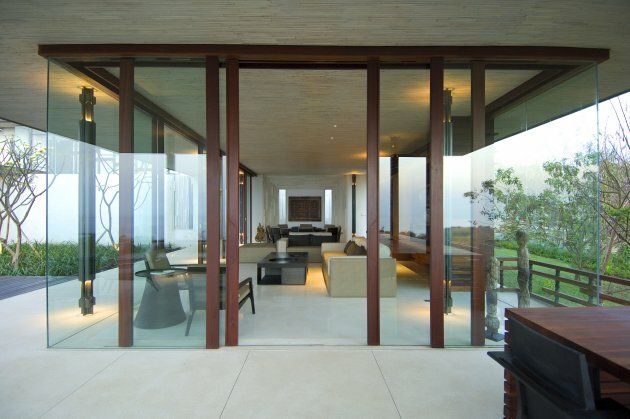 Even the jigsaw-like exteriors of the pavilion serve more than an aesthetic purpose. 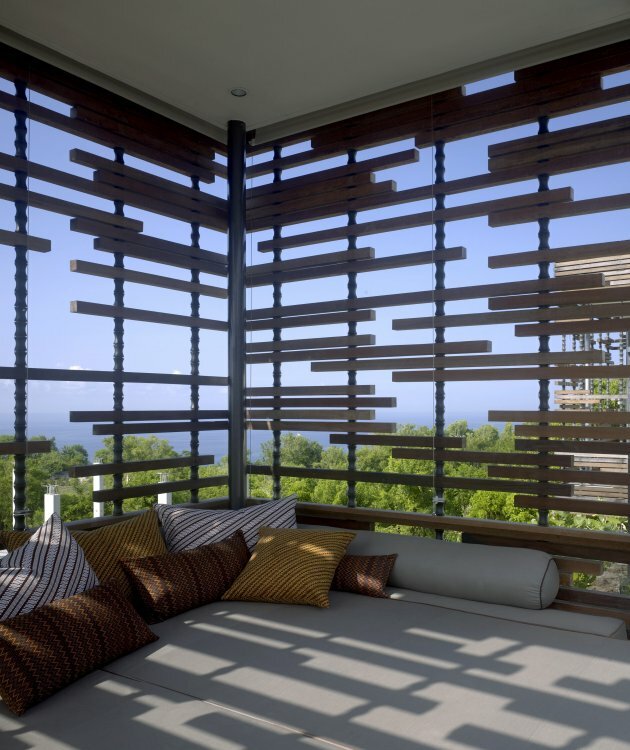 The slats of these exteriors are made from a mixture of recycled wood and bronze, allowing for breeze to circulate yet maintaining privacy in partially shielding its occupants away from prying eyes. Described by Hassell as being “non-tropical”, these modern bales, which are fitted with plush beddings, retain their traditional Hindu-style shape yet are refreshingly contemporary.